Would You Use This Easter Billboard? 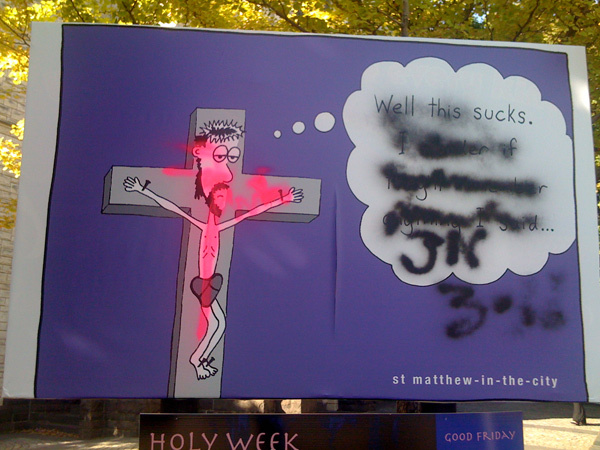 St. Matthew In The City Church in Auckland, New Zealand is an Anglican congregation which uses some edgy advertising to get the largely unchurched Auckland population to think. This Easter, St. Matthew’s put up this billboard explaining that in the Orthodox tradition there is a practice of humor which dispels the gloom of Jesus’ death. Someone took offense, and vandalized the billboard, crudely spray painting a reference to John 3:16 in the place of the original message. Okay, so your church did it all. 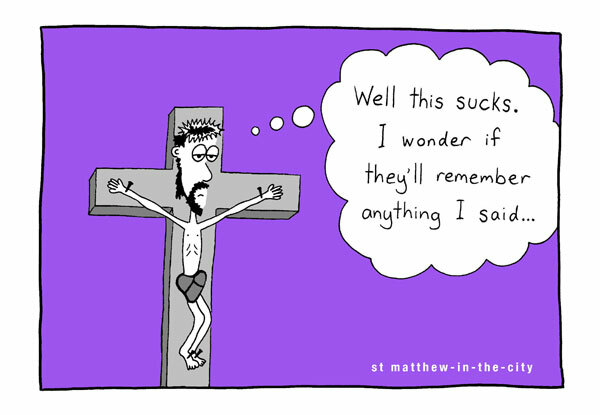 You had a Maundy Thursday service, a Good Friday service, an Easter egg hunt on Saturday, an early Easter sunrise service, and one or more Easter morning worship services. And it was all great! Except today is Monday, and you’re not feeling so good. 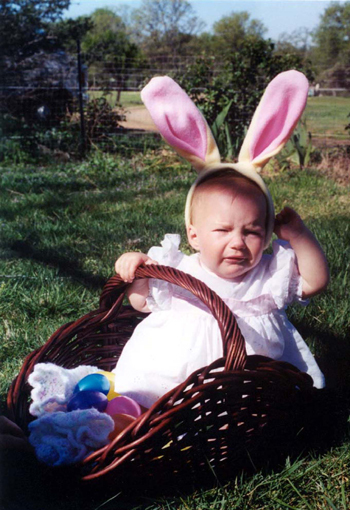 Stop eating your kids’ Easter candy. I know it makes you feel better, but you don’t need the calories or the sugar, which creates another letdown. Get off the bunny trail, and get some rest. This one is serious advice. Think of the rhythm of rising energy leading up to big seasons and Sundays like Easter. Plan for some down-time afterward. Spend some extra time with your family. Cut the grass. In other words, take a break. Make notes for next year. Okay, get some rest first, but somewhere along the way, make notes of the things that went well, and the things that didn’t. File them away for next year, and maybe it will save you some work about 11 months from now. Okay, that’s it. Oh, and watch Duke and Butler face off tonight. I’m going to myself, right after our monthly Deacons’ meeting. Some things you can’t get out of!